1UP posted an interview from CES with Jeff Bell, Microsoft's Corporate VP of Global Marketing for Interactive Entertainment, in which he mentions that Microsoft has "been talking to Blu-ray all along." 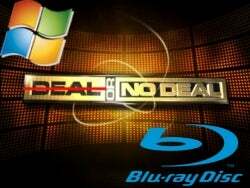 The natural specu-reaction is that Microsoft/Blu-ray might be on. Well, it's not. If you remember way back to the beginning of January—the same time as 1UP's interview with Jeff Bell—Microsoft's Albert Pennello made a similar hedge, that they could consider going Blu-ray, if the planets aligned, the sun died and Sony-branded unicorns blotted out the sky. He then came back to us to spell out in (almost) more ways than we could count that Microsoft is totally not going Blu-ray.